The color of your promotional products matter more than one might think. This is due to something called color psychology. Check out our post here for more information. Each color has a unique set of emotions and feelings associated with them. You want to select colors for your promotional products that are associated with the emotions you want your consumers to associate with your brand. In this blog post, we will highlight the effects of using the color ORANGE. As you can see above, orange is considered to be a warm and friendly color. Orange is known to inspire and create enthusiasm. It is an adventurous color and also increases sociability. Like red, orange is also known to stimulate appetite, which makes it a good color for companies and products related to food. Depending on the shade used, it can also represent affordability in business. Due to this, if used too much, then you might risk coming across as “cheap” to consumers. Using the color orange can have positive connotations such as associating your company with being adventurous, risk-taking, enthusiastic, and cheerful. This means that utilizing orange for your company can send the message that your company is affordable, while also being easy-going and sociable. Since orange is a sociable color linked to stimulating minds and encouraging communication, it is a good color for companies that are hospitable to their customers. Orange represents risk-taking and adventure, which makes it good for companies relating to the outdoors and to adventure. 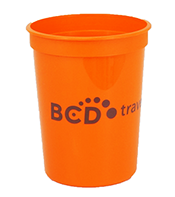 If you are utilizing your promotional products in a setting where you want others to communicate with each other, then orange is a good tactic to use. It is also a color that encourages self-improvement and can be used in that manner. As always, it ultimately depends on who your company’s target audience is when establishing the right colors to use. 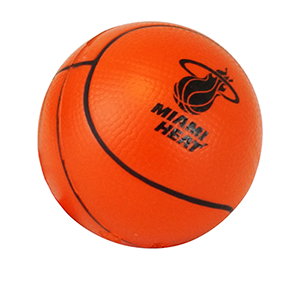 Here are some examples of previously made promotional products using the color orange to give you a taste of what MRL can create for your company. Want more in depth knowledge of any color? Check out our color glossary to navigate through our color-specific blog posts like this one. If you have any questions, or if you are feeling inspired, then contact our team so we can bring your colorful vision to life. At MRL… we aren’t afraid to think outside of the box and color outside of the lines.